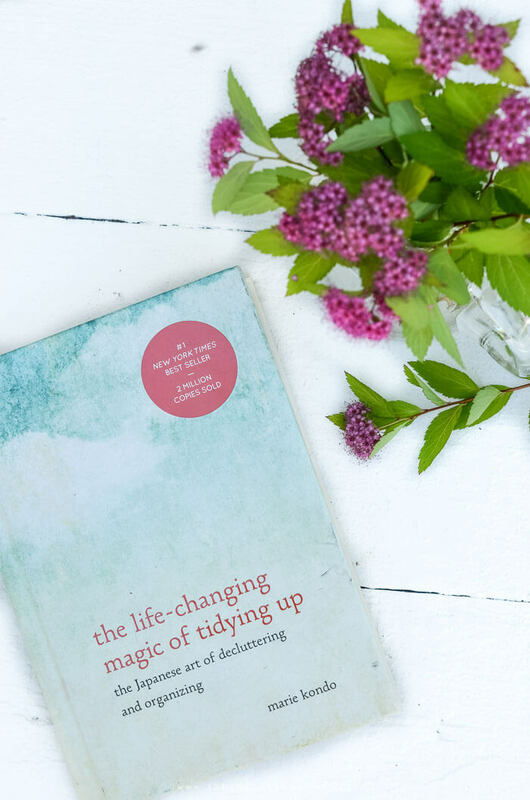 Declutter your home and life once and for all with this series that focuses on guidance from the book "The Life Changing Magic of Tidying Up" by Marie Kondo. One of my favorite tasks is cleaning and organizing. I like getting rid of things. A good before and after picture makes my heart beat fast. And I whole-heartedly believe that my life would be easier and more enjoyable if I had fewer possessions. 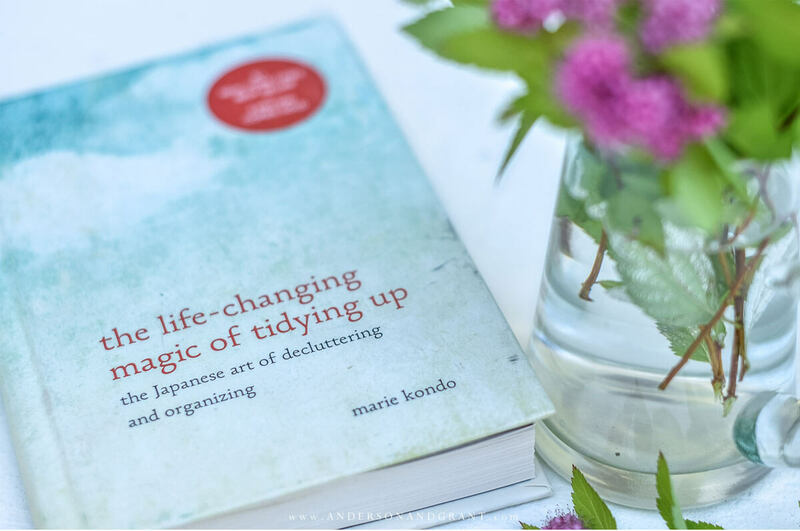 There are countless organizing books out there to try to help teach you to tame the madness, but one of the best books on decluttering the home is The Life Changing Magic of Tidying Up by Marie Kondo. She not only helps you declutter and organize your space, but aids in discovering a better life as it happens. She also mentions that you should only have to ever go through this "special" tidying process once in your lifetime. Sounds good to me! Her methods have become so popular that she wrote a second book, Spark Joy: An Illustrated Masterclass on Organizing and Tidying Up, and now has her own show on Netflix. Have you watched any of the episodes? 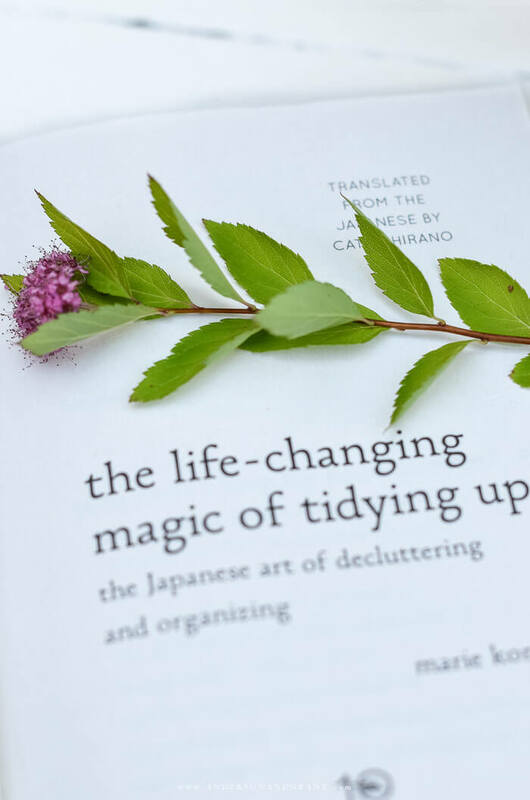 Many parts of this decluttering book have the right path for sorting through your possessions. There are instances in the book that not only have me nodding my head up and down in agreement, but also make me say, "I already do that!" Marie and I are sure on the same page in some cases. But the book is written with a focus on Japanese culture. Some things don't necessarily apply to me. For instance, people in Japan must have a lot of books and makeup samples for the emphasis that she puts on them. She also lumps everything aside from clothes, books, paper, and keepsakes into one miscellaneous category. I don't know about you, but I have just as big of a clutter problem in the kitchen and basement as I do in my bedroom. And she is a big proponent of literally talking to and thanking your belongings. I don't really picture myself carrying on a conversation with my least favorite shirt any time soon. Her biggest idea in the book is to keep only those items that "spark joy." On one hand, I understand the concept. It is easier to get dressed if you only fill your closet with clothes you actually love. But, there are things you need to keep in your life that won't ever spark joy for you. My toothbrush is a necessity, but I don't get a feeling of joy when I touch it! Does that mean I have to dispose of it? 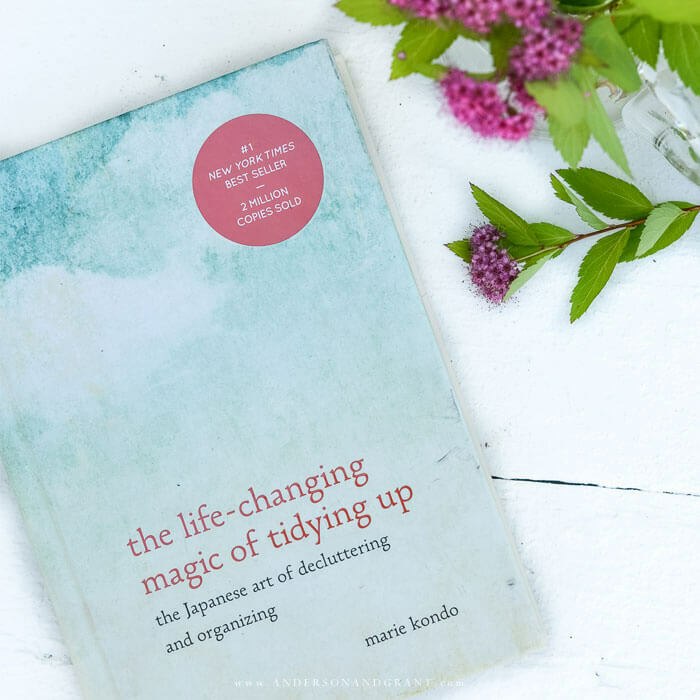 My friend Kristi from Making It in the Mountains and I have been trying to come up with a plan for guiding you all while reading this book and take you step by step through the decluttering process. Cleaning, like exercising and shopping, is so much more fun if you have a friend involved. You're also more likely to stick with it. 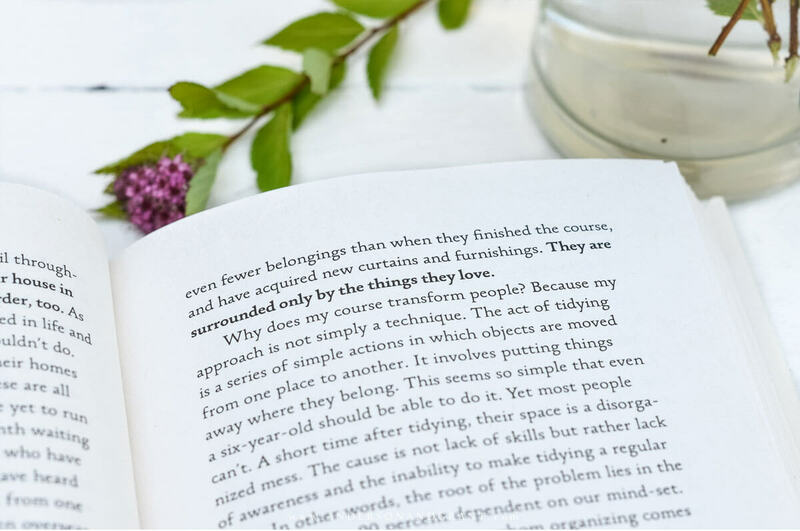 Over the next six weeks, Kristi and I will be joining with some of our blogging friends to share our thoughts and experiences that we've had while working our way through this decluttering manual. I've also created some handy printables to use as you work your way through your own home. 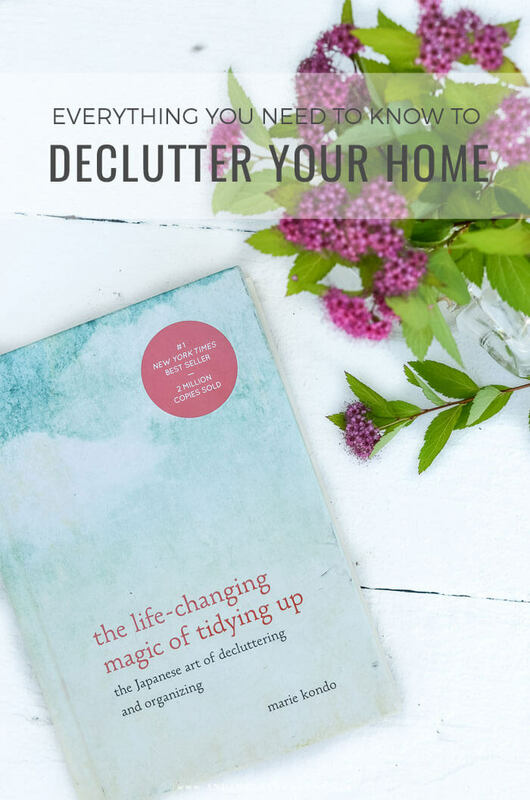 Join me as we go step by step through decluttering your home, finding space, and changing your life as you do it! You can start with the Beginning the Journey to Decluttering post below and follow through in order or skip around and do what feels best for you. This post was originally published on July 17, 2015.